Are you a playful person who likes to tease your friends? Do you have friends who are often kidding you? 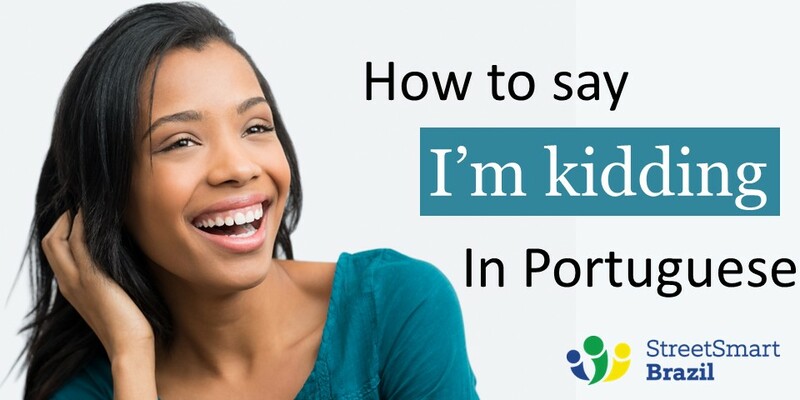 Learn 3 different ways to say that you are kidding in Portuguese. Tô brincando. = I’m kidding. Notice that I am using the colloquial “tô”, which is short for “estou”. As I have mentioned before, we usually drop the first syllable of the verb Estar in spoken Brazilian Portuguese and informal writing. Learn the three different meanings in Portuguese of the verb To Play. This sentence can also be used sarcastically. For example: You already work overtime without making any extra money. Now our manager is asking you to come into the office on the weekends. You are not happy about it at all. You mention this to a friend and say: É brincadeira. What you really mean is that it is an absurd. Tô tirando onda. = I’m kidding. I’m teasing you. Você tá brincando? = Are you kidding? You can omit the pronoun “você”. Você tá brincando, né? = You’re kidding, right? Literally it means: Speak seriously. We use it in a sarcastic way as in English we would say: Seriously? There is only so much that videos and apps can do for you. The best way to speak Portuguese comfortably is to practice with a trained instructor. 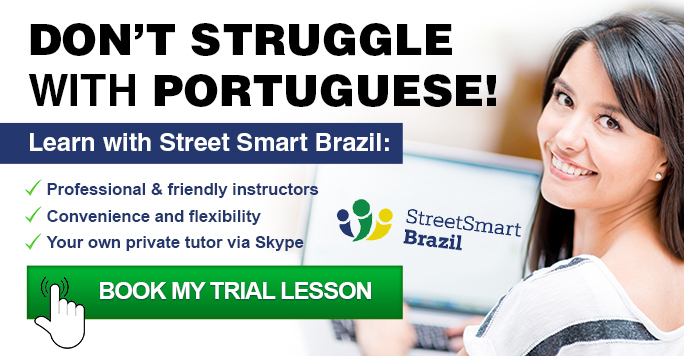 Street Smart Brazil specializes in Brazilian Portuguese lessons via Skype. It is a simple, convenient, and effective way to learn Portuguese. Book a Trial Lesson to see how your learning will advance with us. É uma expressão legal também 🙂 Obrigada.